ConceptDraw DIAGRAM is a software for making Excellent Examples of Infographic Maps. The Spatial Infographics solution contains spatial infographics samples, map templates to be filled in, and libraries of vector stencils for main design elements of spatial infographics. Sample 1. 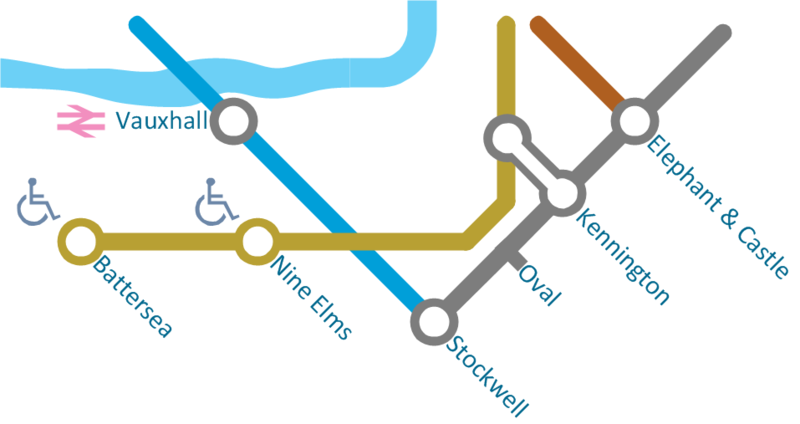 Metro map - Northern line extension to Battersea via Nine Elms. Great examples of Infographic Maps, they are needed for inspiration.